ACL surgery involves the reconstruction of the ligament. While numerous ACL surgery techniques exist, your orthopedic doctor will recommend the best approach based on your injuries and condition – to return you the full range of motion and stability to the knee. 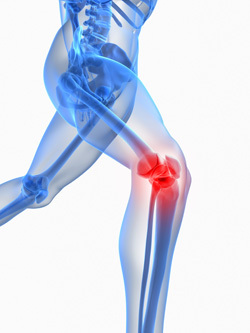 Lakeside Orthopedic Institute Inc has treated countless cases of ACL injuries. Lakeside Orthopedic Institute Inc doctors will examine you, conduct physical tests and take X-rays to determine the extent of damage to your ACL. Lakeside Orthopedic Institute Inc orthopedic doctor replaces the damaged ACL with strong, healthy tissue taken from another area near your knee. You might utilize a strip of tendon from under your kneecap (patellar tendon) or your hamstring. Your surgeon threads the tissue through the inside of your knee joint and secures the ends to your thighbone and shinbone. In a few cases when the ACL is torn cleanly from the bone, it can be repaired. Less active people may be treated non-invasively with a program of muscle strengthening rather than knee surgery.